Another Bulova rescued from the back of the drawer. I don't have much of a story for this one other than I bashed it against a door frame, broke the crystal off, taped it back on, and throw the watch into a dresser drawer. About 6 weeks ago I found it when I was searching for my 1965 Bulova Commander. I took it to a watch maker and had it repaired. Mostly likely I spent too much money on it, but I wanted the watch working again. I don't have any papers or the box for this watch. Bears a very close kin the Oceanographer G with charcoal dial. Dial is the only thing that doesn't match up, every thing else matches. 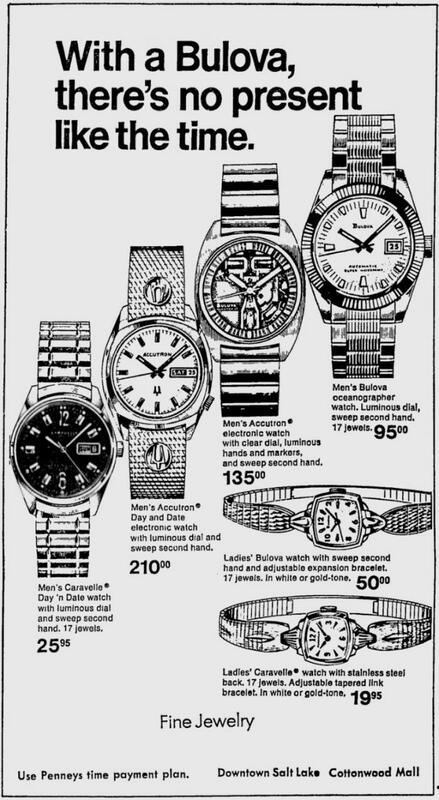 I don't know if Bulova offered different color dials but I would guess they probably did. Two ticks for Oceanographer G due to dial color difference. M2 would make it 1962. It's a great looking watch. I'm a big fan of the black dialed versions. Oceanographer for now until I search deeper. Sorry, the M2 is a typo. It's N2. I'll correct in the description. These slate grey dials are nice. Great looking Oceanographer - I really like this model, thanks for sharing it!